ince August 30th, the Volkswagen Caminhões e Ônibus brand has been part of the TRATON Group, the new name of Volkswagen Truck and Bus. The change is an important step for the Brazilian-founded company, as it has strengthened the synergy between the different brands in the group and has helped the company become even more relevant to the world strategy of what is now the TRATON Group. 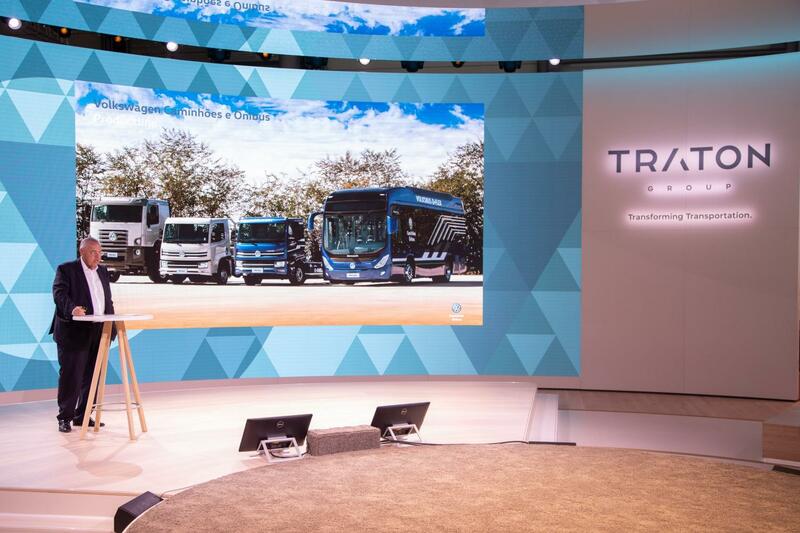 This can be seen in the small details: for the first time, the company was an official exhibitor at the world’s largest commercial vehicle trade fair, IAA, in TRATON’s exclusive exhibition hall. The change has also reinforced even more the brand name Volkswagen Caminhões e Ônibus, which returns to its origins while maintaining its progress with the production and marketing of MAN vehicles in Latin America.Only three months old, the TRATON Group was born huge: bringing together the strengths of the brands Volkswagen Caminhões e Ônibus, MAN, Scania, and RIO. There are 31 factories in 17 countries with more than 81,000 employees with the mission to transform the transport industry.